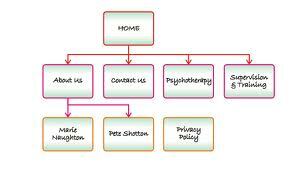 Sitemap is a list of pages in a website, usually the sitemap file is saved as sitemap.xml in the websites rootfolder. When the search engine crawlers or bots crawls the website, it will go through the sitemap file to grab the links for indexing. While creating sitemaps make sure that the links listed in it are not broken or failed while the crawler traverse the list. The site map file will be in xml format and must be UTF-8 encoded. For a regular updating site it will be better if there is a cron* script running in the server which periodically (once in 2 days or weekly) generate or update the sitemap file, so that when ever the searchine crawlers crawl the site it could track the fresh pages. Usually website developers also add a sitemap.html page which will have links to all other pages on the website, This will be helpful for navigation. Step3 : Click the Start Button and Your sitemap will be generated; You can see the page links which are indexed while the Sitemap generation is going on. step7 : Check the url http://www.YourWebsite.com/sitemap.xml, if you can see the xml file in the location then your sitemap is successfully installed. Now wait for crawlers to crawl your website. Download the sitemap and upload it to the root of your website. 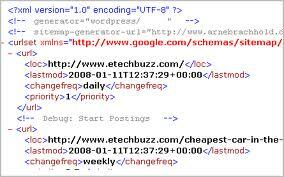 <url>........</url> section of the url which you dont want to put in sitemap. Save your sitemap and upload to server. *Cron Jobs: These are the scheduled tasks which are set in the server to run periodically. The script is invoked by the server in the scheduled time.